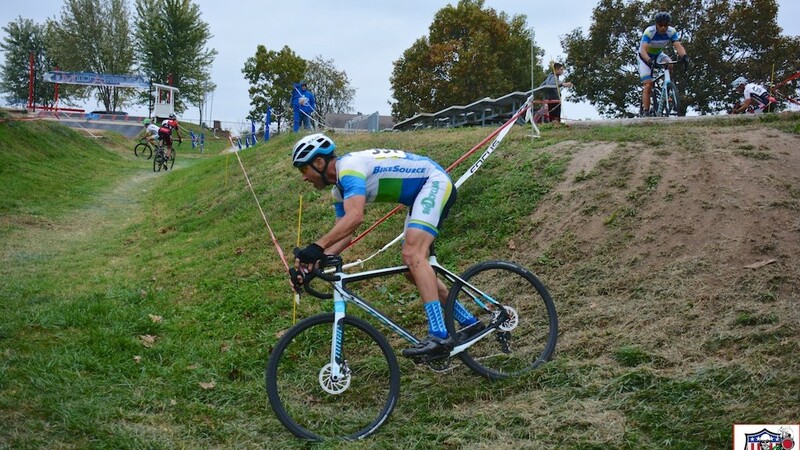 Big D Cycling wraps up road season, looking forward to Cyclocross! 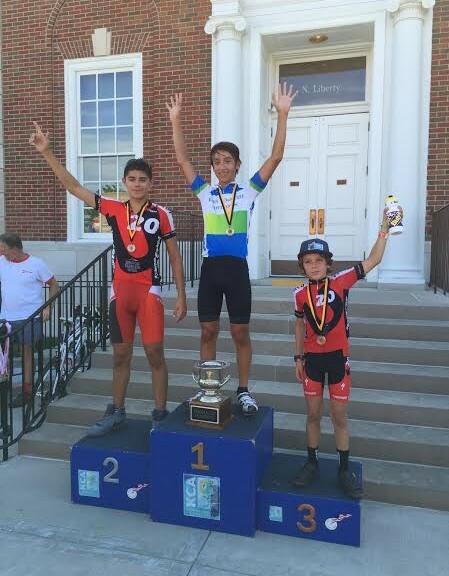 A lot of racing has happened in the months of July and August, with Big D Cycling getting on the podium multiple times along the way. 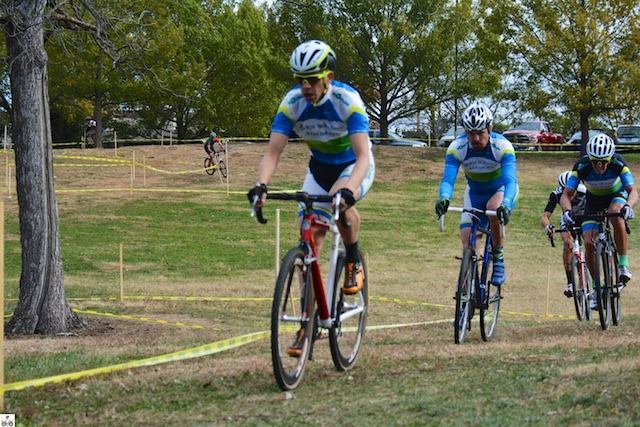 Paul Aldeguer and Joe Kleidosty took gold at the age state championship, in their respective age categories, of the Sunflower Road Race in Topeka, KS. Mary Thompson earned gold with her effort, as well. Fast forward to Truman Cup, where Jim Clevenger put in an impressive performance over three different racing disciplines ~ time trial, circuit and criterium racing ~ to earn 3rd overall in the omnium for Masters Men. 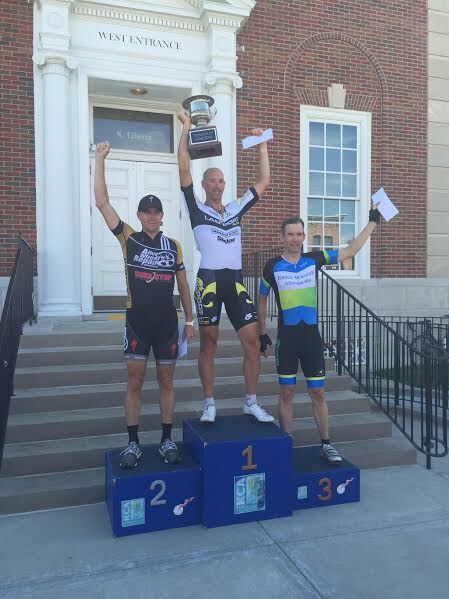 Jim Clevenger on the Truman Cup omnium podium! 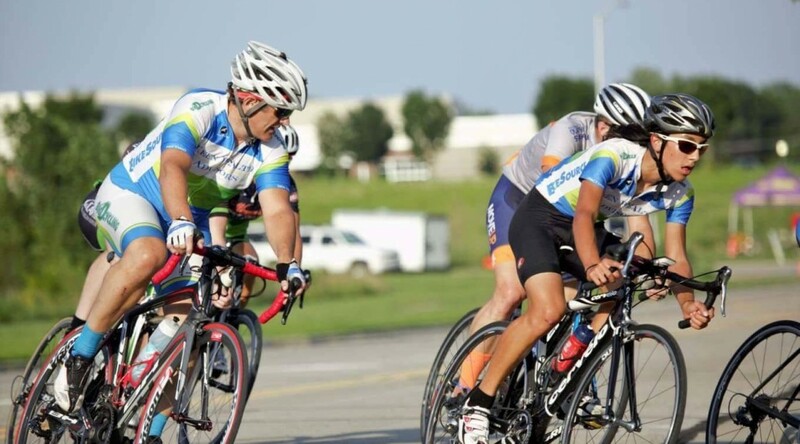 Nigel Vaught capped off his road race season with a bronze medal in Category 5 at the Kansas State Category Road Race in Salina, KS! Nigel won every junior KBAR race that he entered this year and has been showing improvement with every race. Nigel Vaught on the top step of the podium at Truman Cup! Kleidosty shifted his focus from road to gravel this season. He borrowed teammate Alvaro Gamarra’s fat bike to compete in that category at Gravel Worlds in Lincoln, NE. Kleidosty earned 2nd with his efforts in that race. 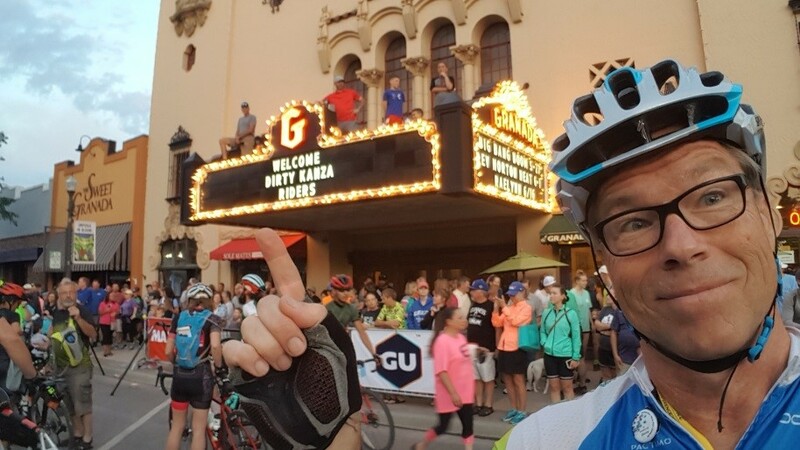 Greg Vaught has indicated he plans to do Dirty Kanza in 2017, so he joined Kleidosty recently at the Pony Express 120 Gravel Dash to get a taste of a longer distance gravel race. 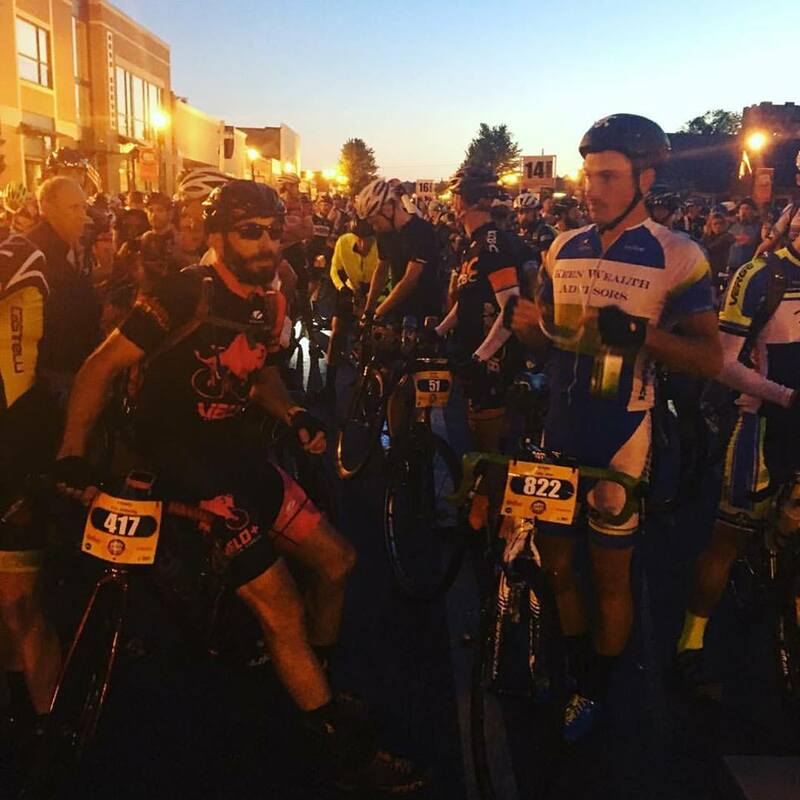 In addition to recording his longest ride, he completed it in under 8 hours and finished 9th overall, with limited gravel training or riding! Kleidosty finished 2nd overall and also earned the under-8 hour trophy. Kleidosty purposefully took a wrong turn on the course, so he could catch up with Vaught and then pull him along for a large portion of the ride! Overall, Big D Cycling finished 2nd in the Keen Wealth Cup competition. Key contributors to that effort were the following people with podium or near-podium finishes in KBAR: Greg Vaught, 2nd Masters 50+; Jay Raupp, 4th Masters 60+; Frank Quinlan, 2nd Masters 65+; Reg Robertson, 6th Masters 65+; Kathryn Johnson, 2nd Women Masters 50+; Kathleen Raupp, 1st Women Masters 60+; Roberta Dierks, 2nd Women Masters 60+; Mary Thompson, 3rd Women Masters 60+; and Nigel Vaught, 1st Juniors 9-14 Male! Danny Mertz, new to the team this year, raced in a few road races and a couple criteriums, earning a respectable 6th place in Masters 60+! 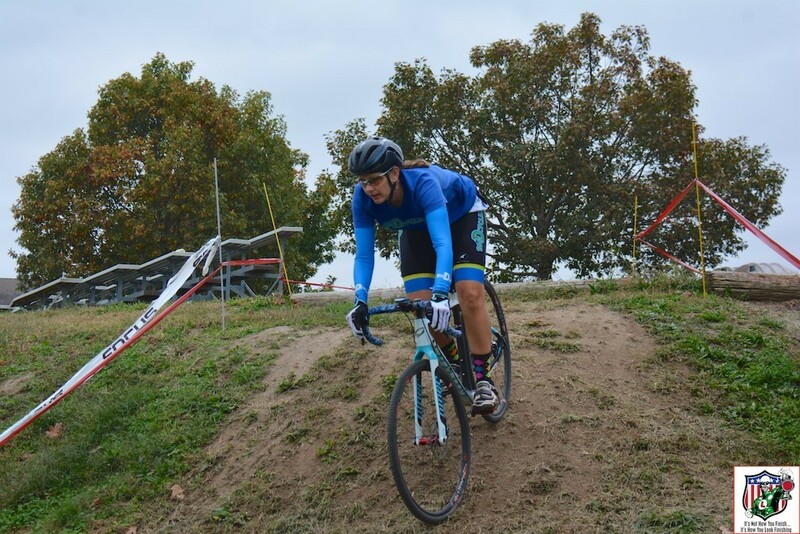 Big D Cycling is primed and ready for cyclocross to start up this year, with practice happening over the past several weeks at the Vaught Cyclocross Compound. 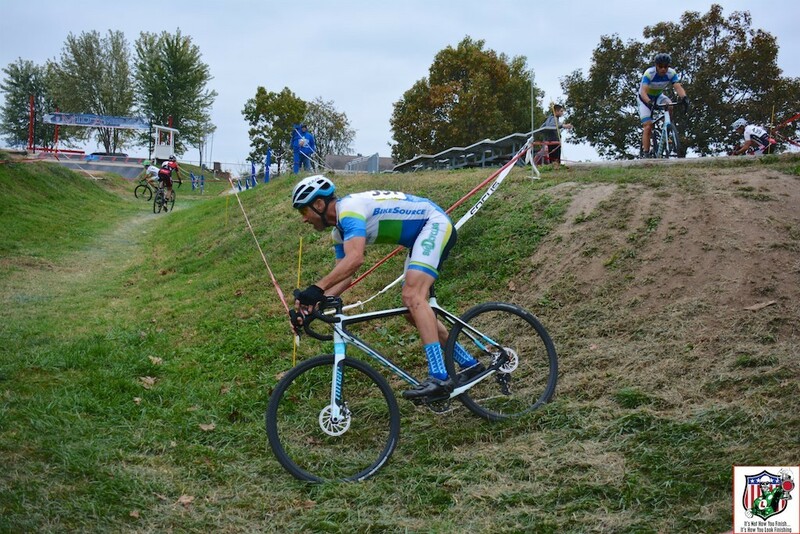 The Masters Men team is ready to defend their team title from last year, and the team is excited to present and promote the Keen Wealth Classic, which will be held at the beautiful grounds of Wyandotte County Lake Park! Special thanks to our title sponsor Bill Keen and Keen Wealth Advisors for their tremendous support of our team and of junior racing! Bill Keen and his team hosted their 3rd annual open house on June 9 to show their appreciation for their current and new clients alike. Bill Keen welcoming Greg and Nigel Vaught to the 3rd annual open house. Bill graciously invited our team to the event, as well. We set up a team ride ahead of the event and had a great time rolling along the streets of Johnson County. 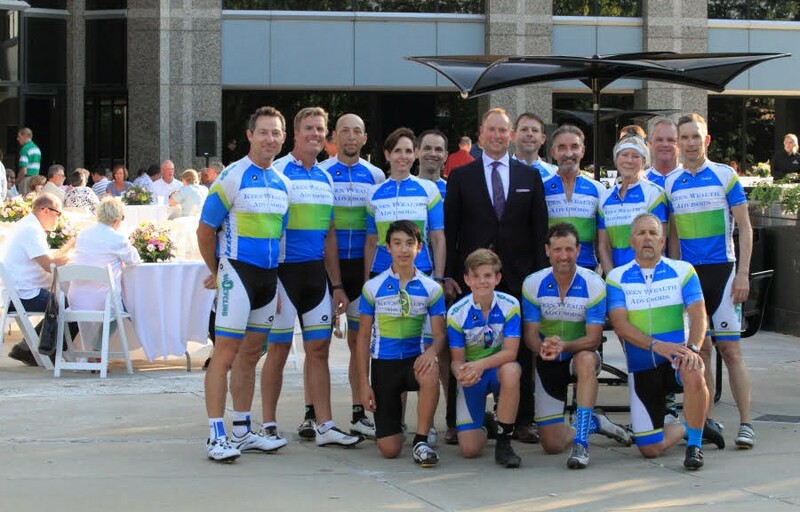 We enjoyed live music and Fiorella’s Jack Stack BBQ after the ride. It’s hard to not notice that young Peter Whalen has more developed calves than Steve Van Nieuwenhuyse. Bill is a private pilot and can be seen riding his bike around the Charles B. Wheeler Downtown Airport in his Big D Cycling kit. Big D Cycling recently purchased a bike for his wife, Carissa, who is also getting into and enjoying cycling! Keen Wealth Advisors also produces podcasts on all things related to personal finance and investing. Check them out and feel free to contact Bill at BKeen@KeenWealthAdvisors.com if you have any questions or are interested in learning more about the products and services he and his team provide. 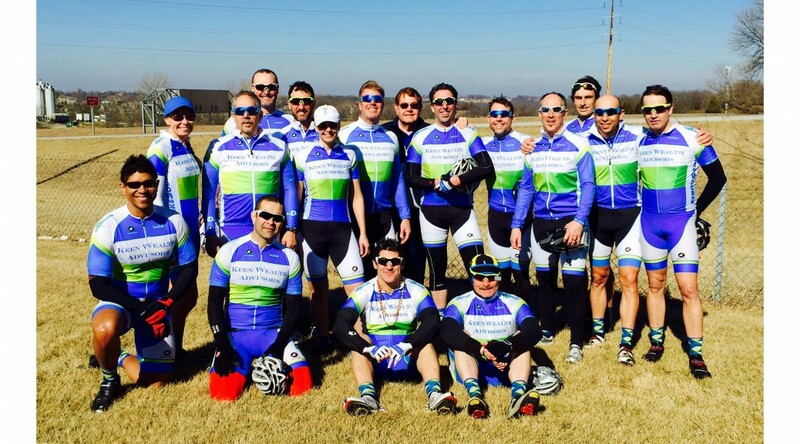 Dirty Kanza, Tour of Kansas City, Big D Cycling ~ Oh My! 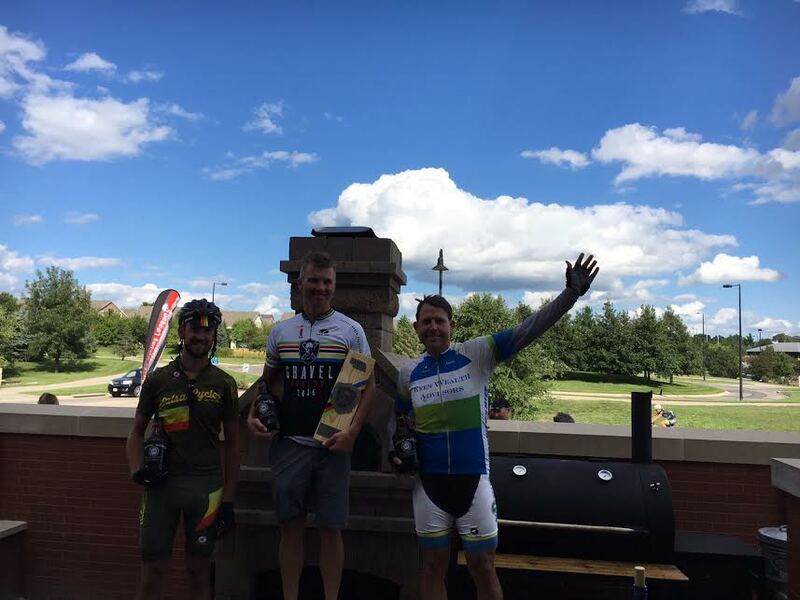 Yet again, Dirty Kanza and Tour of Kansas City fell on the same weekend. 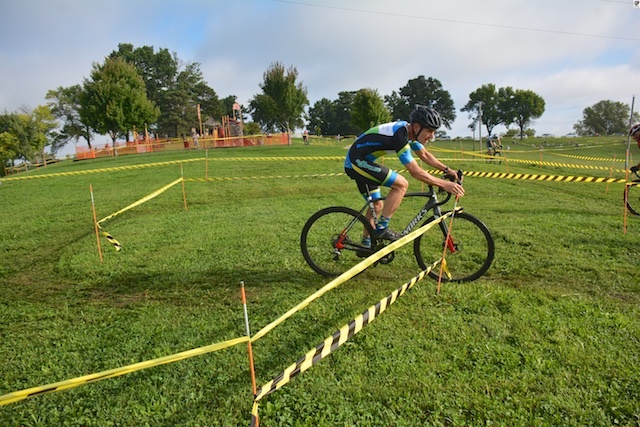 Big D Cycling has talent across many disciplines, and that became apparent in the first weekend in June. May was a wet month in the area, but the week leading up to Dirty Kanza had the gravel roads drying out. 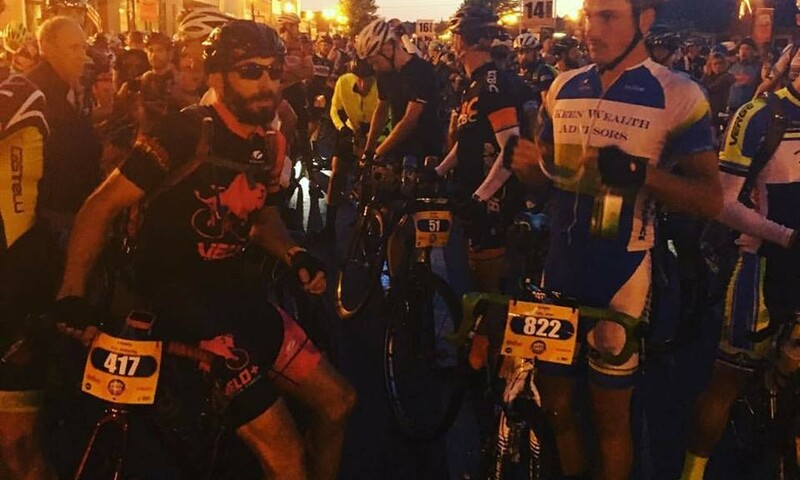 Mother Nature decided to make things interesting at Dirty Kanza this year, though, by providing a thunderstorm a few hours before the start to soak the first several miles of the course. She also provided riders with an unusual (for this time of year) wind out of the Northwest, along with some warmer temperatures, which provided riders with a headwind and heat for the last half of the course. 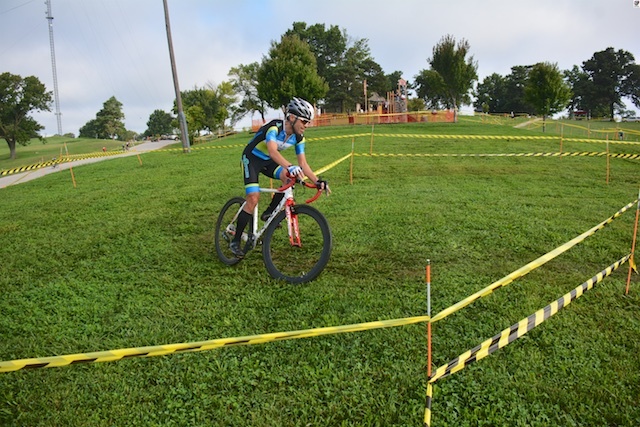 Many veteran riders commented that this was one of the toughest editions of Dirty Kanza. When the dust settled, Cody Jones overcame a mechanical to finish before sunset with a time of 14 hours, 0 minutes, 04 seconds. That put him at 40th overall! 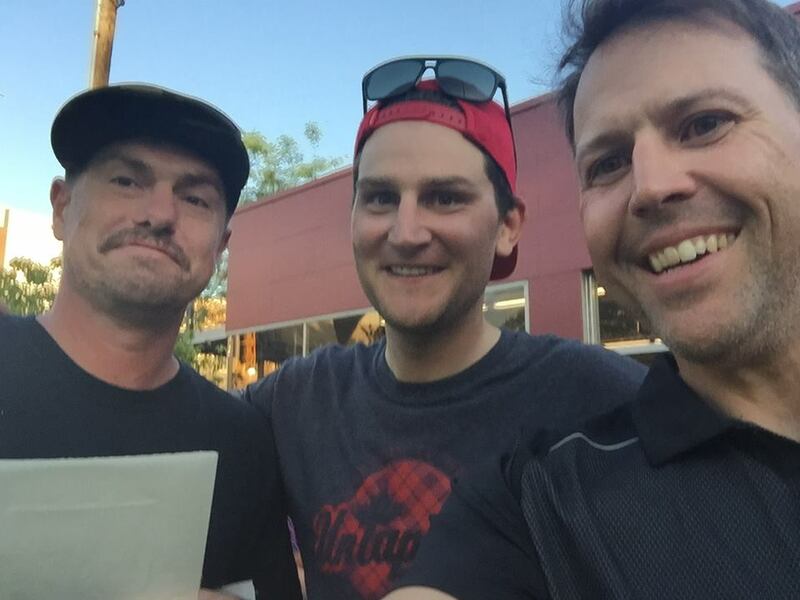 Tim Herre and Joe Kleidosty dealt with their own challenges and were not able to continue much past the third and final checkpoint. 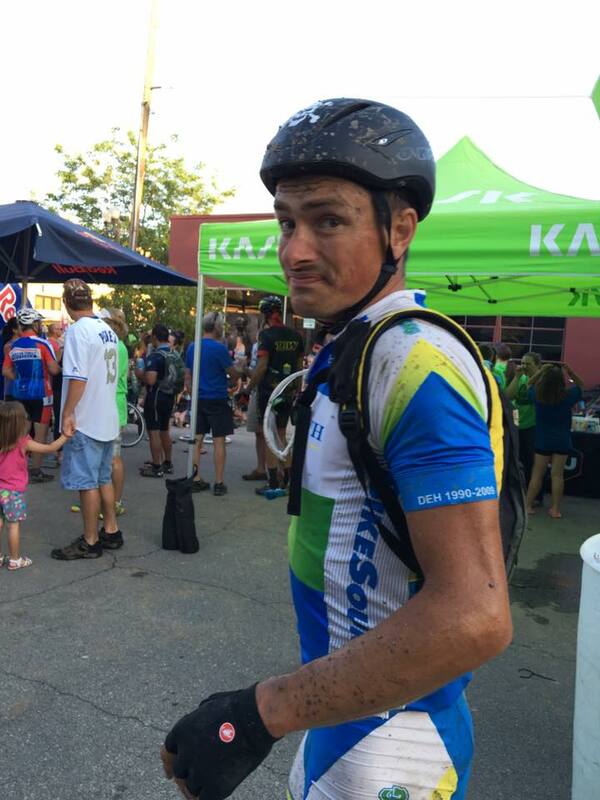 Herre still had a great experience, and Kleidosty had a personal best with mileage with 166 miles and learned valuable lessons to assist him with future endurance events. 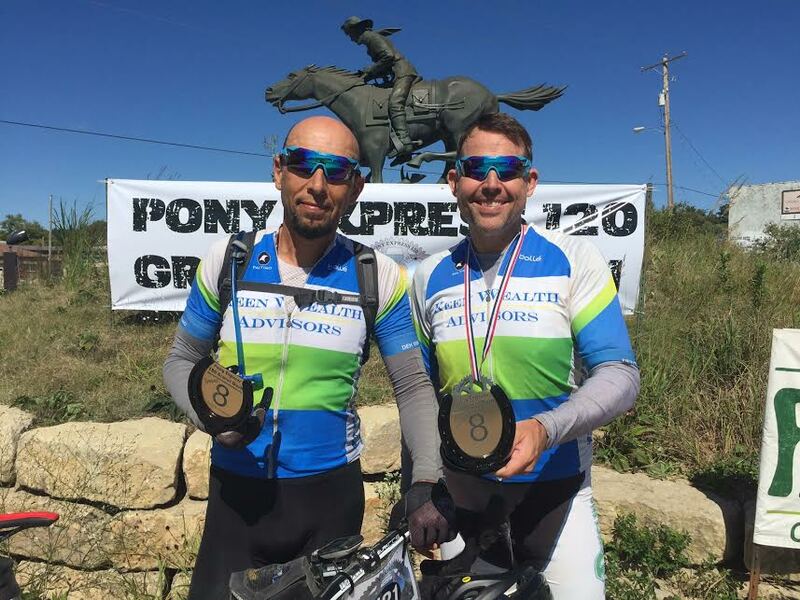 We had several teammates that completed the 100-mile course: Michael Fiola and Ken Wiebke had been training together prior to the event, and finished the event together with a time of 9 hours, 7 minutes, 45 seconds, overcoming physical challenges along their journey. Alvaro Gamarra led a motley crew on his fat bike, completing the course in 10 hours, 45 minutes, 48 seconds, along with Andres Suarez on a fat bike, and Christian Vila and Reinaldo Barrera on gravel bikes. 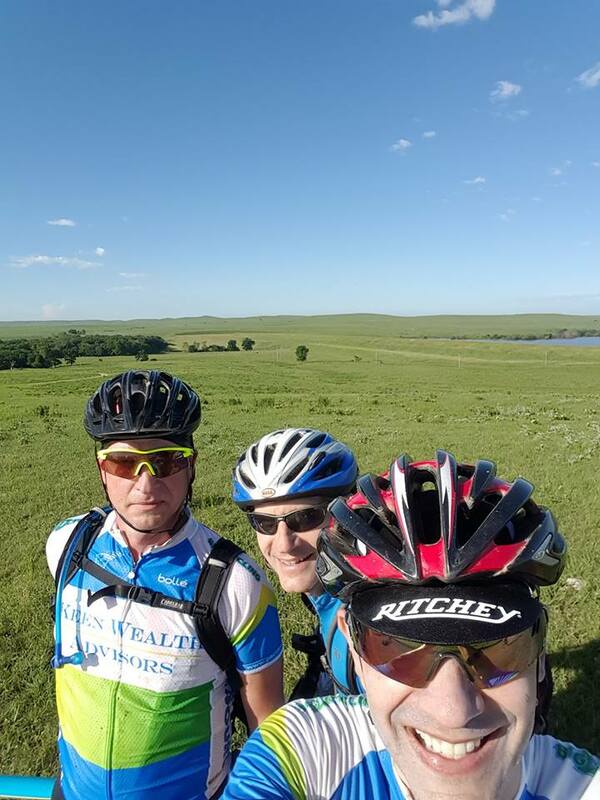 They assisted a mutual friend to complete his first century ride – on Dirty Kanza gravel, no less! In a land not so far away, Big D Cycling was also letting its presence be known at Tour of Kansas City, which featured a new downtown location for the criterium course. 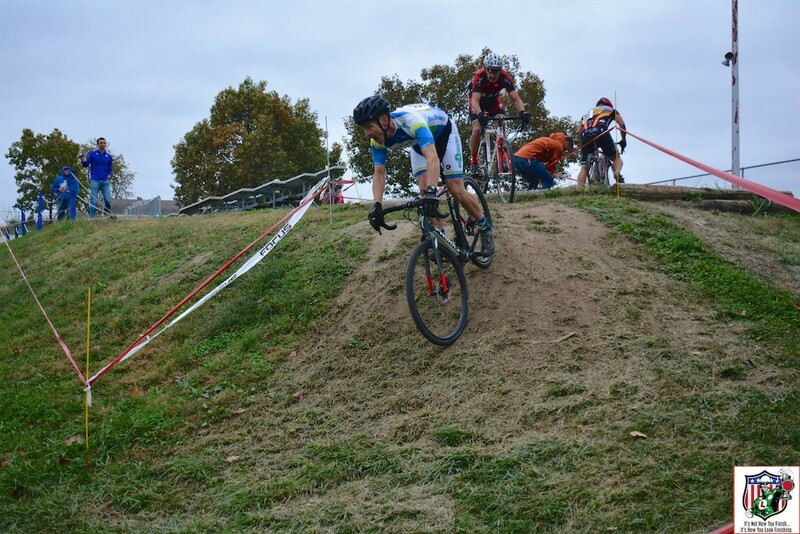 Chip Zimmer and Greg Vaught went 5th and 6th in the circuit race at Cliff Drive. 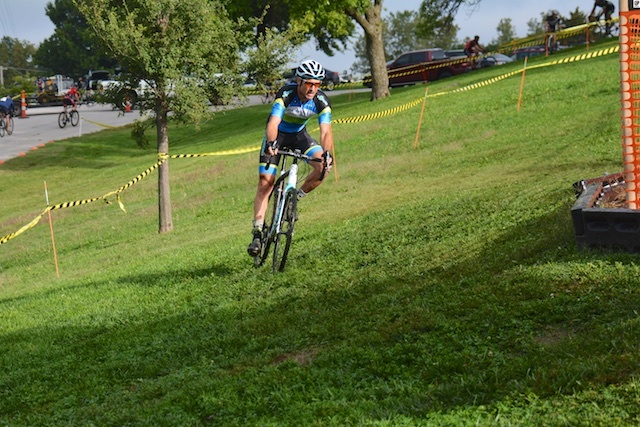 Nigel Vaught used his climbing prowess to take 2nd in the circuit race. 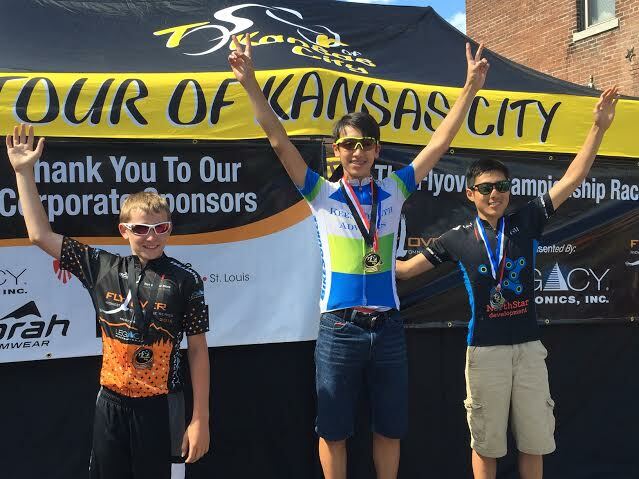 Nigel, with his performance in all three race formats, won the omnium at Tour of Kansas City. 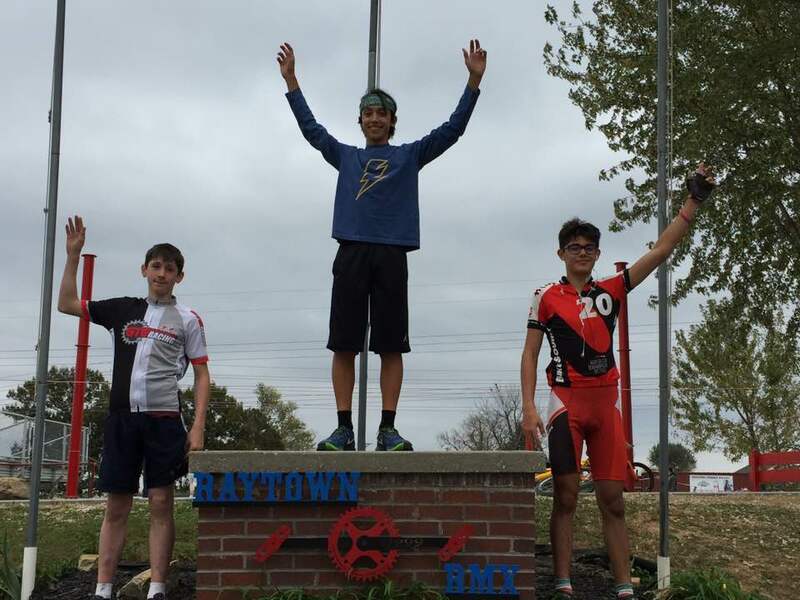 In addition to this, Greg and Nigel have competed at two Midwest Flyover events to-date, with Greg now in 5th place overall in that series in Men’s 50+ and Nigel in 3rd place overall in the series in Junior Boys 13-14. Nigel is improving as he trains and rides more. 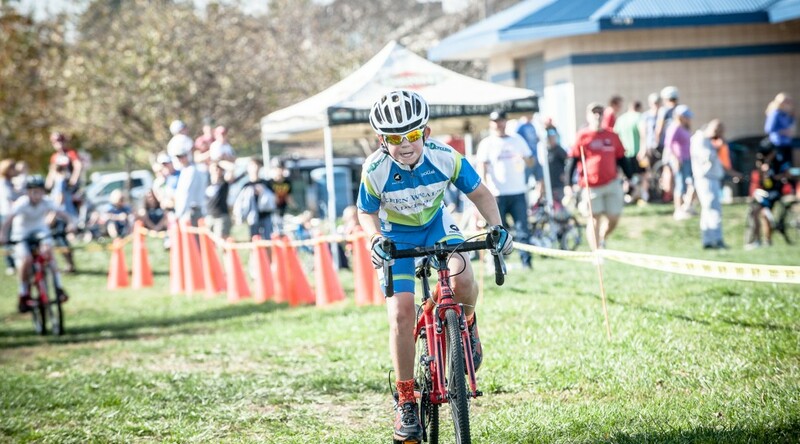 Above all, he enjoys competing and riding his bikes! Jay Raupp performed admirably in all his races, earning 2nd in the omnium for Masters Men’s 60+. Our Masters Women’s team is currently in the lead for the KBAT competition. Kathy Johnson and Kathleen Raupp are the big contributors to that effort. 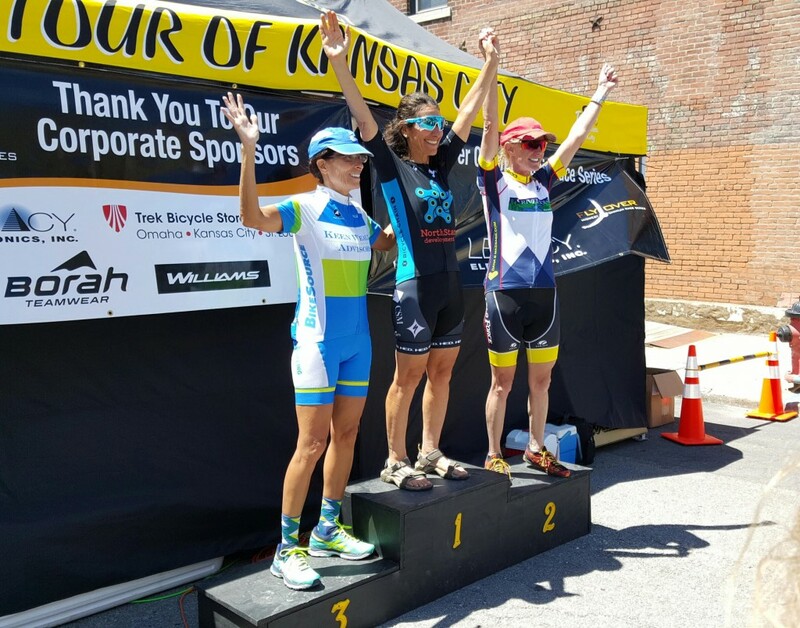 Raupp earned 3rd in the downtown criterium at Tour of Kansas City. Mary Thompson gutted out the brutal climb at the Cliff Drive course to earn 2nd in her category. Great job, ladies! 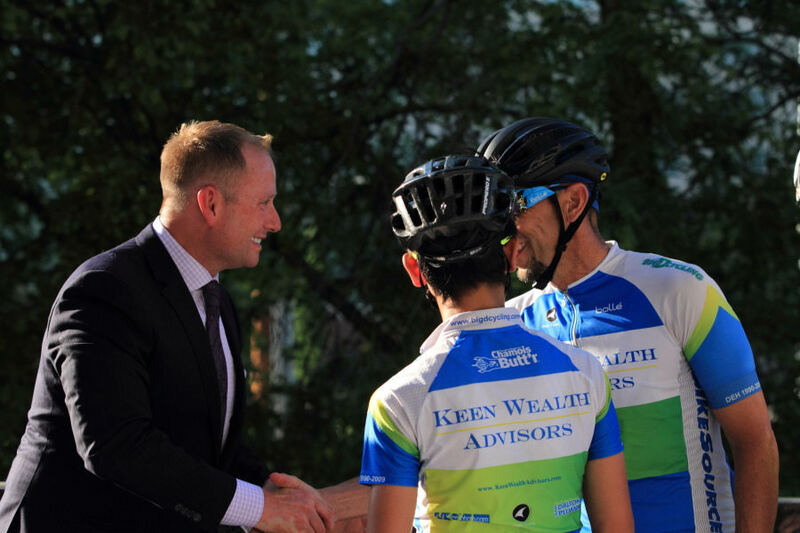 Planning was the key to Cody Jones’ success at Dirty Kanza ~ if you need help with your financial planning, contact our title sponsor, Keen Wealth Advisors!